Disruption in the satellite sector is often a quest for new technology to enable new applications. While this may be true, it’s also about daring to think differently in order to solve the same problems. As the industry continues to demand increasingly cost-effective and simplified satellite systems – while maintaining high levels of reliability – devices with combined functionality will play a critical enabling role. Authored by Bryan Reid, Director of Business Development, Space Systems, at Marotta Controls. New space firms and constellation developers want to build thousands of satellites, faster and much more cost effectively, in a business model akin to building traditional aircraft. This will be a massive shift and a boon to the industry, however engineering hand-crafted parts for a fraction of their current cost is not a competitive reality. A different and more disruptive technology approach is required. If the goal is to reduce the cost of a satellite system by a factor of 10, why not just eliminate 90 percent of the hardware? In a satellite sector driven by bold, creative thinkers on a path to commercialize space travel and build a satellite every day, disruption is the not-so-secret ingredient driving their efforts. More and more affordable and reusable space technologies are anticipated to reshape a market which quite literally has no known boundaries. The science community and visionary business leaders alike are closely examining new technologies and working to uncover options that could unlock what’s next. While this is almost an insatiable quest – fueling a growing appetite for more innovation enabling more capabilities – there is an obvious roadblock. These are not mass produced electronics that result in a lower price point with increased production. System simplification is essential in the highly competitive SATCOM market. By recognizing the value of multi-function components, operators can create advantages in program cost, assembly time, reliability, and satellite mass. Marotta’s MFV (multi-function valve) was critical in allowing the GOCE (Gravitational Ocean Circulation Explorer) mission to extend its 20-month flight to 55 months, while increasing the in-flight performance of the satellite. Image courtesy of ESA. The same satellite components that have traditionally cost tens of thousands of dollars simply cannot be produced for a fraction of the cost. Every component integrated onboard a satellite is individually handmade and tested in a uniquely labor-intensive process. Reducing costs would instead require machine-made components manufactured with minimal human involvement – yet these complex systems, unique pieces, and even processes just don’t lend themselves well to that practice. Any technology going into space must be made with the same quality and attention to detail that is the hallmark of this industry, protecting technology assets, business reputations, and human life. But what if each single component did not need to cost less, and rather the whole system could just cost less overall? It’s possible, using flight-proven components with combined functionality that create advantages in program cost, assembly time, reliability, and satellite mass. This is system simplification at its most meaningful level, eliminating numerous components and discrete assemblies to make a significant difference in the highly competitive SATCOM market. Patented as well as flight-qualified, flexible multi-function devices enable greater accuracy, robustness, and system stability, even while equipping operators with new capabilities to adapt performance remotely over the course of the mission. Breaking free of conservative, traditional methodologies and thinking is essential to creating new opportunities in a market primed for change and growth. It’s almost a psychological change where developers must move past an emotional attachment to the “way things have always been done” and become more creative with system design rather than just component procurement. Electric propulsion offers an excellent case in point, now being used for orbit-raising as well as station-keeping. 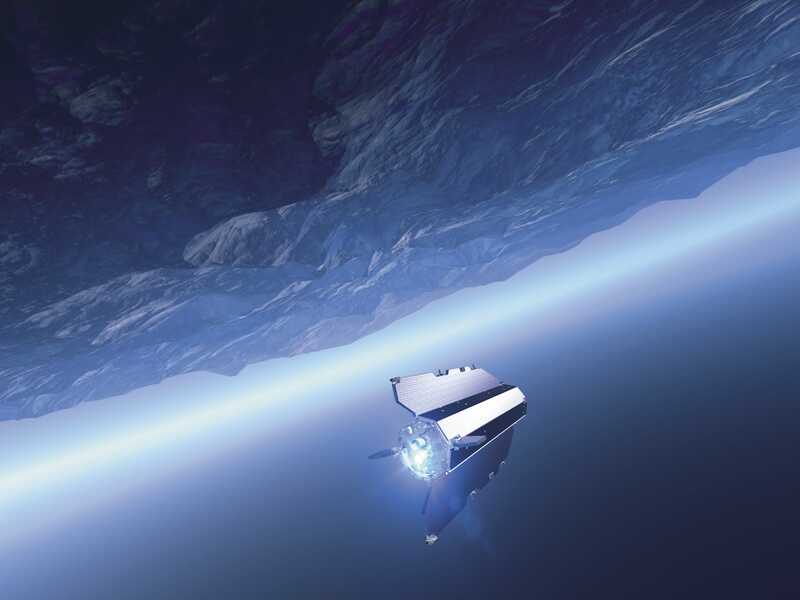 Once only used to maintain a spacecraft’s position in geostationary orbit, today these Xenon-based ion propulsion systems are more efficient than ever, can fire for thousands of hours, yet consume significantly less propellant. Multi-function valves can play a critical role as this market advances – enabling modifications in the system feed architecture that allow satellite missions to last longer, be lighter, and provide increased performance compared to heavier, more traditional options. Disruption may be difficult to embrace, yet it is the path forward for the industry. Instead of chasing the same engineered design made faster, better, and cheaper, solving problems in today’s satellite market requires a combined functionality approach. Industry game-changers like Musk, Bezos, Wyler and others are not necessarily successful because of the technologies they’ve embraced; they’re successful largely because of their willingness to embrace change, challenge the status quo, and find new methods which are distinctly disruptive when compared to traditional practices. This leadership is what creates real impact on cultural dynamics inside a space development company, and this is when things become truly disruptive in the best way. Disruption is about the psychology of change, and is more applicable than ever in the constellation market. Satellites are getting smaller, necessitating the removal and reduction of system components. Where traditionally there were two parallel branches in a feed system, there is just one; if it fails, a different satellite is used. The industry is moving toward super-simplification; if engineers can break emotional ties to bigger systems and embrace flight-proven options which offer combined functionality, they will almost certainly find success. Today’s satellite and constellation leaders must encourage and afford their engineers the opportunity to explore new and innovative solutions from providers who’ve been preparing for this moment by perfecting flight-qualified and even man-rated technologies that meet and exceed most satellite design criteria. Bryan Reid has over 30 years of experience in the international Aerospace and Defense industry in both technical and commercial roles, and is instrumental in developing Marotta’s space strategy and securing significant technology content on major platforms. He’s been involved in a wide range of launch vehicle and satellite programs, including the Ariane 5 first stage Vulcain Engine, the GOCE (Gravity field and steady-state Ocean Circulation Explorer) satellite, and most recently, the Spacebus Neo and MetOp-SG platforms .